The Jensen Mixer Series 600 with it’s exclusive Pitch-Adjusted propeller is the right tank mixer for blending applications. Blending includes the prevention of stratification in blended products, elimination of solidification and crusting at the product surface, heat transfer for uniform product temperature and blending of two miscible fluids. 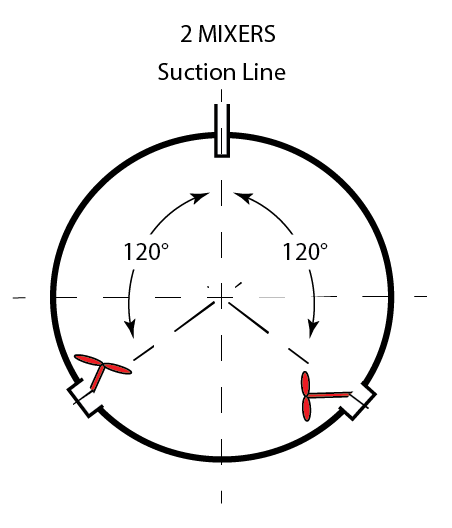 Proper product blending ensures that the product leaving the tank has a uniform gravity, viscosity and temperature. This is crucial for ensuring that accurate sampling can be accomplished, since the tank cannot be emptied until an accurate sample has been obtained. Operating procedure is one of the most important factors affecting blending applications. When writing specifications, engineers should give special attention to this as required horsepower in identical tanks may vary greatly due to different procedures. 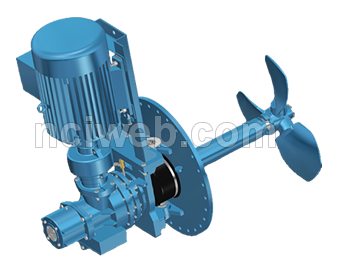 Tank mixer performance is dependent upon propeller design and efficiency. 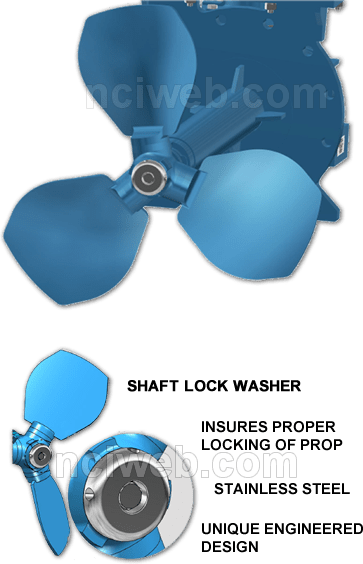 The exclusive Jensen propeller is Pitch-Adjusted and a highly efficient, three blade, marine type propeller precision set and permanently fixed at our factory to assure superior mixing performance in each individual application. Factory selection of optimum pitch/diameter ratio results in higher thrust, increased flow and maximum utilization of available power. 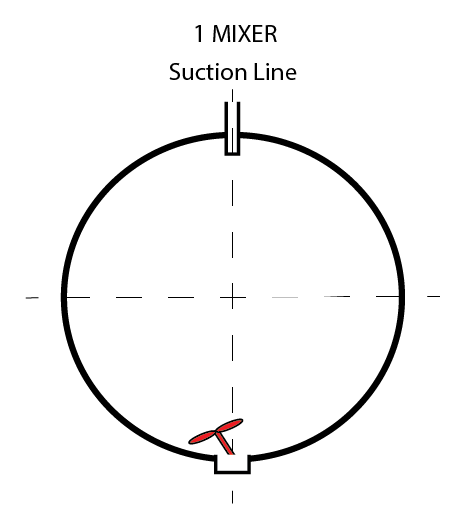 The Jensen Pitch-Adjusted propeller is the most tested and most inspected propeller available on any mixer. Jensen has conducted exhaustive efficiency tests on Pitch Adjusted and competitive propellers at various speeds and horsepowers. 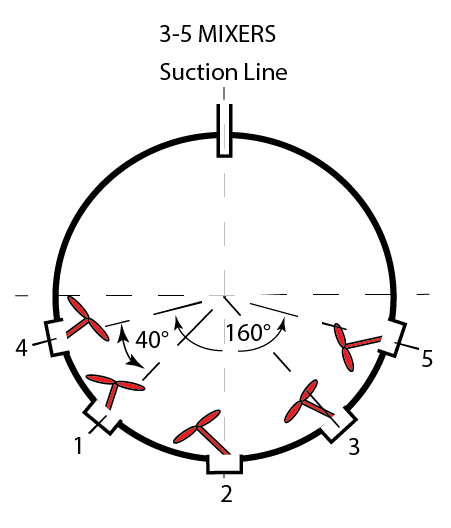 Results showed Jensen Pitch Adjusted propellers to be more efficient in every horsepower range when operated at manufacturer’s recommended RPM.